RORBUA is a converted and enlarged "Fisherman 's Cabin". Area: 18 m² plus two sleeping lofts - with space for three guests (double bed in one loft). Ladders must be raised. The living room features one bunk bed (two beds), kitchen nook, dining area, a small sitting area and WC w/shower. Equipped for self-catering. Radio. Gas for cooking and hot water, otherwise energy based on electricity. Enjoy the lovely view from your sheltered, quayside terrace with the sea on all three sides. IMPORTANT! 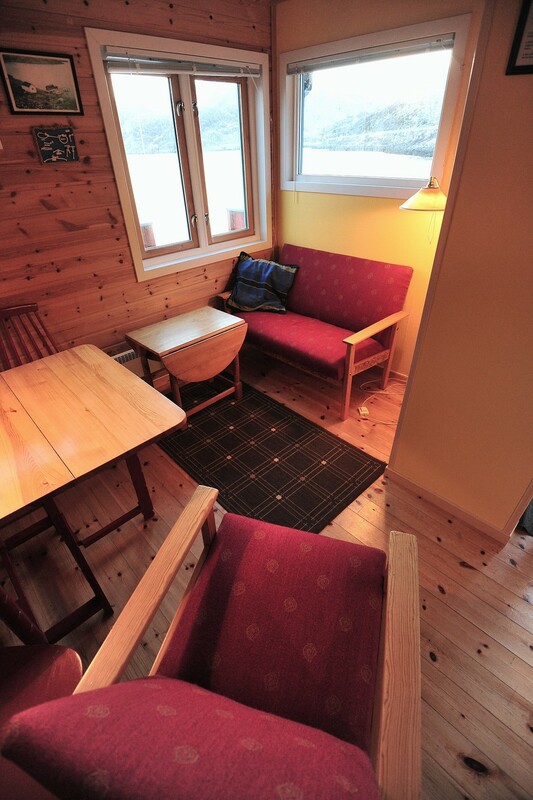 This cabin is also available during the winter. As stated RORBUA has five beds, while NISA has seven beds. 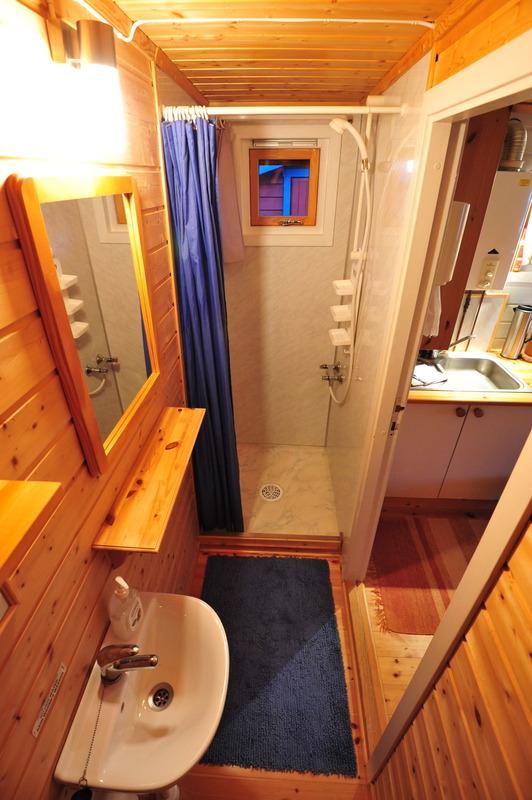 Meanwhile, both cabins are relatively small in relation to the number of beds. If your group consists of five persons (RORBUA) or seven (NISA) and you intend to rent over an extended period, accommodations in a single unit might become a bit cramped (?). We will of course not deny you the option of filling all beds, but desire only to inform you of the possibility for overcrowding the unit.